Secretary of State says Trump unlikely to stay in Iran nuclear deal unless it is substantially fixed. 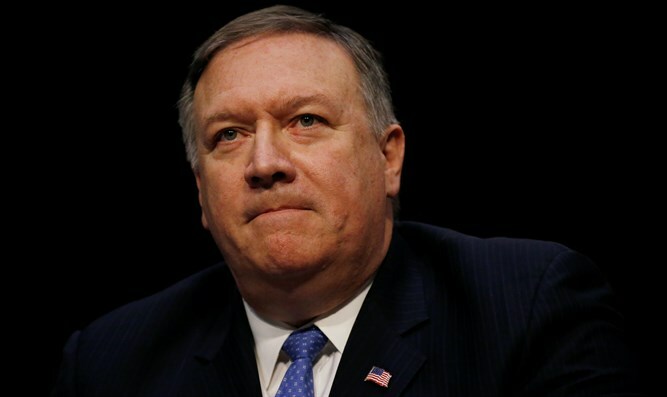 U.S. Secretary of State Mike Pompeo on Friday said that President Donald Trump has not yet made a final decision on the matter but is “unlikely” to stay in the Iran nuclear deal unless it is substantially fixed. "There's been no decision made, so the team is working, and I'm sure we'll have lots of conversations to deliver what the president has made clear,” he told reporters during a trip to Brussels, according to The Hill. “Absent a substantial fix, absent overcoming the shortcomings, the flaws of the deal, he is unlikely to stay in that deal past this May," added Pompeo. Trump, who has blasted the 2015 nuclear deal as “the worst deal ever negotiated”, in January decided to extend a waiver on nuclear sanctions that were imposed on Iran but gave the deal’s European signatories a May 12 deadline to “fix the terrible flaws” of the deal or he would pull out. Earlier this week, Trump met at the White House with French President Emmanuel Macron, who has been leading an effort by France, Britain and Germany to find those "fixes" to the deal that would satisfy Trump's objections. Pompeo said Friday the Iran deal was talked about “some” during the NATO meeting he attended. He also expects it will also be a topic at stops later in his oversees trip to Saudi Arabia, Israel and Jordan. Iranian leaders have warned Trump not to withdraw from the deal. Last week, Iranian Foreign Minister Mohammad Javad Zarif warned the United States there would be “unpleasant” consequences if it pulls out of the 2015 agreement. This week, Zarif said that if the United States withdraws from the 2015 nuclear deal, his country will likely do so as well.